my sketch version is 52.6. is anyone can help me? your plugin is probably the one crashing Sketch, could you share the code? So your action handler is logging something. Which means that when a action happens, log something, trigger a log action, log something, trigger a log action, etc. mathieudutour Thank you,I didn't realize trigger log is an action. 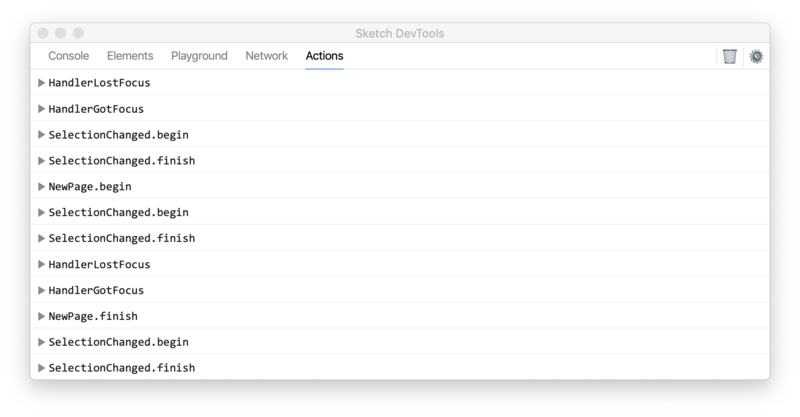 Alternatively, if you are just looking to see what actions do what and when, you can download the Sketch Dev Tools plugin (https://github.com/skpm/sketch-dev-tools) and it can give you a nice log of all the actions in realtime. kevgski Cool, I will have a try.